After more than 20 years since their formation, the emblematic rock & pop band continue to amaze us with their music. This year they released their sixth studio album Strange Little Birds, which has been widely acclaimed by critics and fans. The material escapes from their obsessive perfection-seeking recordings specially found in Beautiful Garbage, 2001, and Bleed Like Me, 2005, and centres much more on a back-to-the-origins kind of spirit. Garbage are currently on a worldwide tour that will take them to the US, Europe, and all the way to Australia and South America. In Denmark, they will perform two shows: in Odense and Copenhagen. After a long eight-year break (during which the members decided to undertake personal projects), in 2012 Garbage got back together. And with a renewed energy, they went back to the studio to record their fifth album, Not Your Kind of People. The release served as a grand comeback, and even more than with Strange Little Birds, the material combined elements of the band’s 90s alternative rock landmark sound. 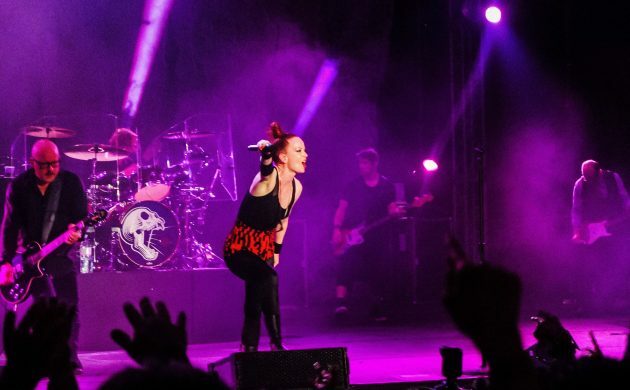 This highly-renowned Scottish-American band offer a unique mix of rock, electronic pop and Shirley Manson’s emotive vocals. With a complete setlist, fans can be sure to be spoilt for choice with a perfect balance between their classic and new material. Berlin-based Danish singer-songwriter Agnes Obel grew up torn between different musical worlds. Heavily influenced by classical piano, jazz and the trip-hop alternative band Portishead, the artist developed a unique style of music. In October, Obel released her third and latest studio album, Citizen of Glass. Distancing itself from her first two piano/voice-driven recordings, this new production offers more experimental and complex material, combining strings, electronica, piano and her usual sad-elegant vocals. As part of her busy European tour, Obel is stopping by Denmark, where she has not performed in over two years, for what promises to be a night to remember. With an energetic blend of ska, jazz, funk, gypsy swing and latin sounds, the Australian-based group have become major live festival regulars across the globe. Currently in Germany on a European tour, the band are scheduled to visit Aarhus on November 6 before heading here. In March this year, The Cat Empire presented their latest album, Rising with the Sun, becoming the band’s second Australian number one album upon release. Concert-goers should expect a highly energetic onstage performance, with quick-tempo rhythms and a diverse mix of music styles. It’s a show that will for sure satisfy every musical taste. The Brooklyn-based singer and songwriter is on tour in support of his latest studio release, Eyes On The Lines. He’s a solid performer who will offer a purist and energetic presence on stage. British soul singer-songwriter Michael Kiwanuka is coming to Copenhagen to present his latest studio album, Love & Hate. With a smooth-retro sound, this is a show not to be missed. For indie rock-pop lovers, Radical Face is one of the best current artists to see. This American acoustic song writer will take you through a magical musical experience. Strongly influenced by a wide range of singers – including David Bowie, Bob Dylan and Jeff Buckley – this UK singer-songwriter will impress you with his emotive vocals and keyboard-driven songs. Bastille promises to get the crowd hyped up from start to finish. Known for their energetic onstage performances, this London’s indie-electronic band will sure make an impact.